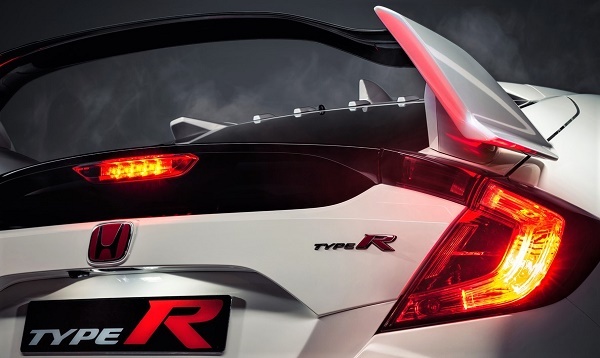 For Honda Automotive performance junkies, the reinvented and much improved Civic Type-R comes as close to a brand manufactured race car as U.S. federal safety mandates will allow. Last year we spent some time with one of several concepts circulating the world auto show circuits over the past three years or so, loved it! Much to the joy of Civic Type-R aficionados, what we see proudly revealed in Geneva Tuesday, is what will land on the shores of North America this Spring 2017. For the rest of us, Civic Si. Although we don’t know the final dealership availability date, or estimated MSRP, Honda went on a ledge today and announced a late spring arrival to the U.S., with an estimated MSRP in the mid $30,000 price range. While that information remains car-show-reveal-vague, the announced price-point fares well in a high performance-hatch segment, dominated in the U.S. by Ford, Subaru, and Volkswagen Golf G.T.. I believe you can find 200+ horsepower in this family sport-hatch. Honda’s performance hatchback, although not available in all-wheel-drive, out powers all of he aforementioned, and thanks to measurably increased frame rigidity, a reinvented front suspension, and class leading hydraulic damping lifted from the all new 10th generation 2017 Civic, according to American Honda, torque-steer been reduced to negligible. Allow me to jump out on a ledge here: 2017 Honda Civic Type-R will be as rare as hens teeth in the U.S., with the fortunate few recipients of the manually shifted, race tuned super-hatch, paying a premium for the inevitably “sold-out” first production run. That’s the nature of the performance car game, 2017 Honda Type-R will not be the exception to the rules. Nonetheless, I look forward to driving one. 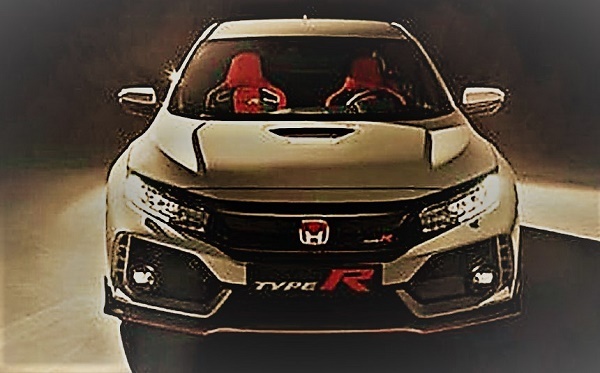 The new Civic Type R, sharing the body style of the 5-door hatchback variant of the tenth-generation global Honda Civic platform, will be powered by a U.S.-built 2.0-liter DOHC, direct-injected and turbocharged i-VTEC inline 4-cylinder engine with peak ratings of 306 horsepower at 6,500 rpm and 295 lb.-ft. of torque from 2,500 to 4,500 rpm. The engine will be mated exclusively to a short-throw 6-speed manual transmission with rev matching capability – employing automatic throttle blips for smoother shifts and power delivery. A new single-mass flywheel reduces clutch inertia by 25 percent versus the previous (European) Type R and a lower final gear ratio is employed to improve acceleration response.